The BMW M5 Competition Pack is now officially available to lease. With a 25bhp power boost over the standard car and a heavily revised suspension set-up, it’s the most driver-focussed M5 to date. 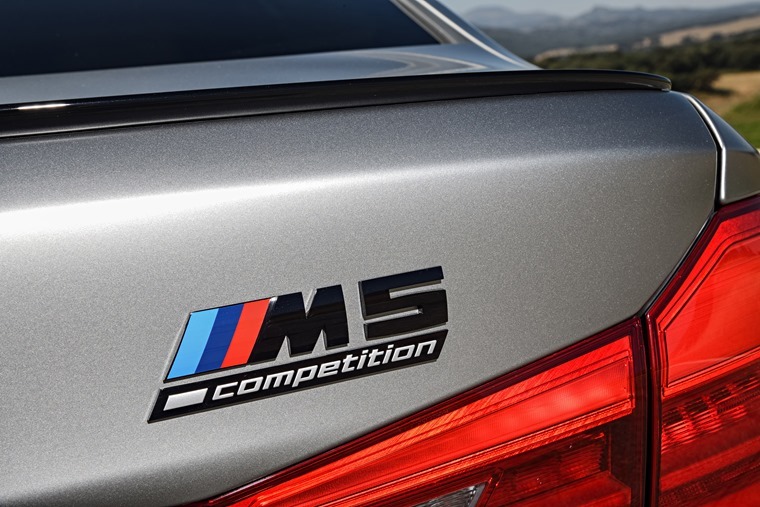 It follows in the footsteps of the M2 Competition, but unlike its smaller sibling it won’t replace the standard M5. 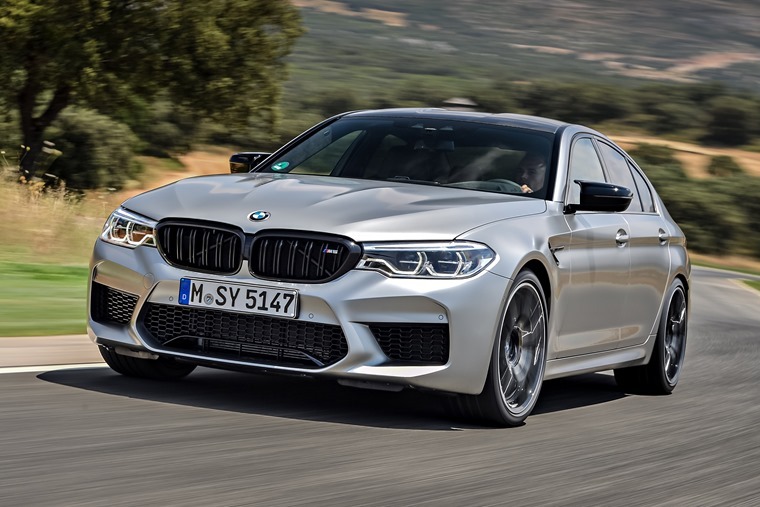 Instead it’ll sit alongside it and take aim to take on the likes of the Mercedes-AMG E 63 S.
The standard car’s 4.4-litre twin turbo V8 has been fine-tuned, pushing power up from 592bhp to a supercar-quashing 615bhp. That drops the 0-62mph sprint to 3.3 seconds, while a 0-124mph run takes just 10.8 seconds – 0.3 secs quicker than the standard car. Suspension tweaks mean a 7mm drop in ride height, 10% increase in spring rates and increased front axle camber – all resulting in a more focussed set-up. Mounts for the suspension, anti roll bar and engine have been stiffened, while adaptive dampers have been added. 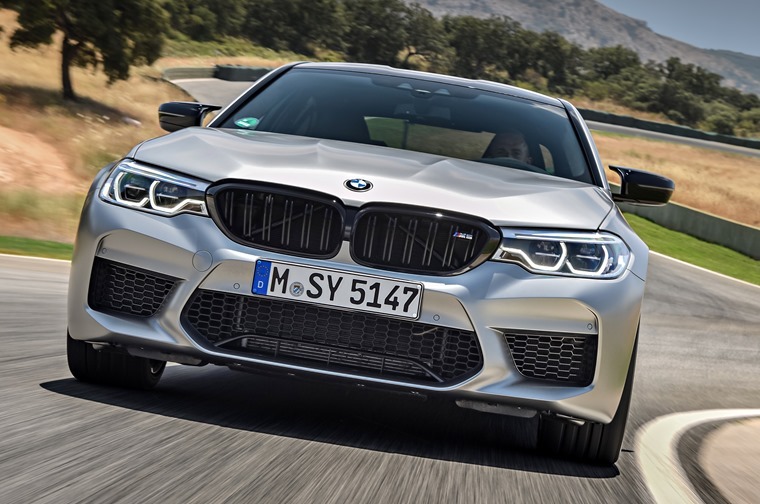 It does however, retain the same all-wheel-drive xDrive set-up and eight-speed Steptronic transmission used in the standard M5, with its special M-Differential resulting in a rear-biased set-up most of the time. For those feeling brave, there’s a rear-wheel-drive only setting, too. Aside from the headline stats, nothing much has changed. That new exhaust system results in a tweaked rear diffuser, with exit pipes finished in black chrome. The rest of the exterior trim including the front grille and door mirrors are now finished in a glossy black as well. On the inside, even less has changed – the only model-specific changes you’ll see are some sporty seatbelts and new carpet. Interested in one? 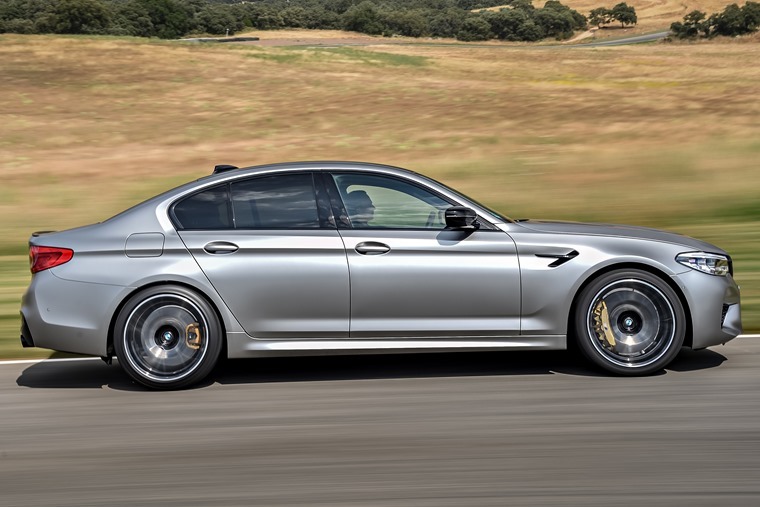 It gets a hefty list price of £96,205 – around £6,000 more than the standard M5 – and the monthly lease rates reflect this. 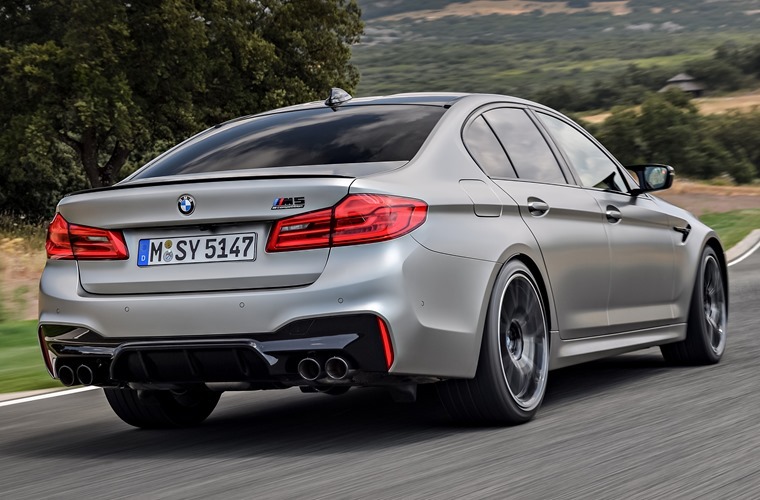 If you’re interested in the hot new M5, you can find deals here, or alternatively you can read our recent review of the latest M5, or find deals on the standard car by clicking here.